New Ransomware virus called Mamba also known as HDDCryptor has been discovered via a malicious files, named “141.exe” and “152.exe” that uses AES encryption to fully encrypt a hard drive and not let users to even boot Windows. This new tendency for ransomware viruses is continuing to grow and is not likely to fade away soon. Such encryption prevents the user from completely accessing the hard drive and hence the files in it. This way, it becomes significantly more complicated to try and decrypt your files or restore them using any data recovery software. It simply prevents any access to the hard drive, because it, itself is AES encrypted. Short Description The malware encrypts the hard drive of the user with a custom password, denying all access to it. 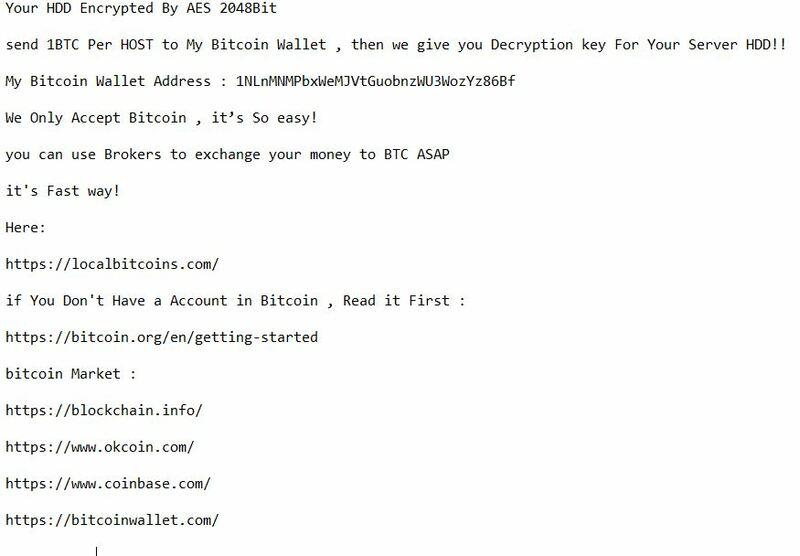 It asks for 1 BTC ransom payment to send a password for encryption. User Experience Join our forum to Discuss Mamba Ransomware. Mamba Virus – How Does It Infect? The ransomware is reported by the researcher who discovered it, Renato Marinho to infect users using a malicious executable that has a file name consisting of 3 numbers. The researcher searched a file, called 141.exe which was related to the malware and several detections rendered it as a Ransom_HDDCRYPTOR_A (TrendMicro). What is interesting is how the researchers came to see the ransomware – it attacked a whole company’s network of devices and had a user ID for the computer it encrypted. This is a strong indicator that the Mamba virus may be spread via other, compromised computers with other malware. When we checked the name dcrypt ourselves, we have established that it is a project that is completely open source and can be downloaded from Sourceforge. Another program which they may have used is reported by the researchers to be called DiskCryptor. It is essentially a tool that combines several algorithms, creating a password and making it difficult for hackers to access a drive. Well, the joke is on the victim because the hackers have learned to use this free tool to make Mamba ransomware. In addition to this, the Mamba Ransomware creates a new user on the encrypted computer as well. This information strongly suggests an AES-512 cipher with an encryption mode of XTS mode may have been used instead of the claimed 2048 by the cyber-criminals on the other side of the e-mail address in the note. They are created for another virus of the same type, for which there is a decryptor released. You can see step 1 to step 3 in the “Decryption Phase” of the instructions how to remove your hard drive. Then simply keep the hard drive intact and do not try to tamper with it. Instead, we advise you to purchase a new drive in the meantime and install an advanced anti-malware program that will ensure that you are protected in the future. Expect an update with an instructions URL on this article as soon as a free decryption solution is released. Threats such as Mamba may be persistent. They tend to re-appear if not fully deleted. A malware removal tool like Combo Cleaner will help you to remove malicious programs, saving you the time and the struggle of tracking down numerous malicious files. Threats such as Mamba may be persistent on your system. They tend to re-appear if not fully deleted. A malware removal tool like SpyHunter will help you to remove malicious programs, saving you the time and the struggle of tracking down numerous malicious files. Note! Your computer system may be affected by Mamba and other threats. SpyHunter is a powerful malware removal tool designed to help users with in-depth system security analysis, detection and removal of threats such as Mamba. 1. Install SpyHunter to scan for Mamba and remove them. 2. Scan with SpyHunter, Detect and Remove Mamba. Ransomware infections and Mamba aim to encrypt your files using an encryption algorithm which may be very difficult to decrypt. This is why we have suggested several alternative methods that may help you go around direct decryption and try to restore your files. Bear in mind that these methods may not be 100% effective but may also help you a little or a lot in different situations. Note! Your computer system may be affected by Mamba or other threats. Remove Mamba by cleaning your Browser and Registry. Fix registry entries created by Mamba on your PC. Combo Cleaner is a powerful malware removal tool designed to help users with in-depth system security analysis, detection and removal of threats such as Mamba. Step 5: In the Applications menu, look for any suspicious app or an app with a name, similar or identical to Mamba. If you find it, right-click on the app and select “Move to Trash”. Step 6: Select Accounts, after which click on the Login Items preference. Your Mac will then show you a list of items that start automatically when you log in. Look for any suspicious apps identical or similar to Mamba. Check the app you want to stop from running automatically and then select on the Minus (“–“) icon to hide it. Remove Mamba – related extensions from your Mac’s browsers. A pop-up window will appear asking for confirmation to uninstall the extension. Select ‘Uninstall’ again, and the Mamba will be removed. When you are facing problems on your Mac as a result of unwanted scripts and programs such as Mamba, the recommended way of eliminating the threat is by using an anti-malware program. Combo Cleaner offers advanced security features along with other modules that will improve your Mac’s security and protect it in the future. Hello. I just got infected by this and connected the encrypted hard drive to my other PC via SATA cable. I cannot decrypt the drive. Do you have any other solutions? hey, at the present moment there is no solution but researchers believe that the deecryption password is the same for every encrypted drive. I advise you not to connect the drive to your other computer and not to try and tamper it in any way because you may damage it permanently, especially if it has a fail safe mechanism. 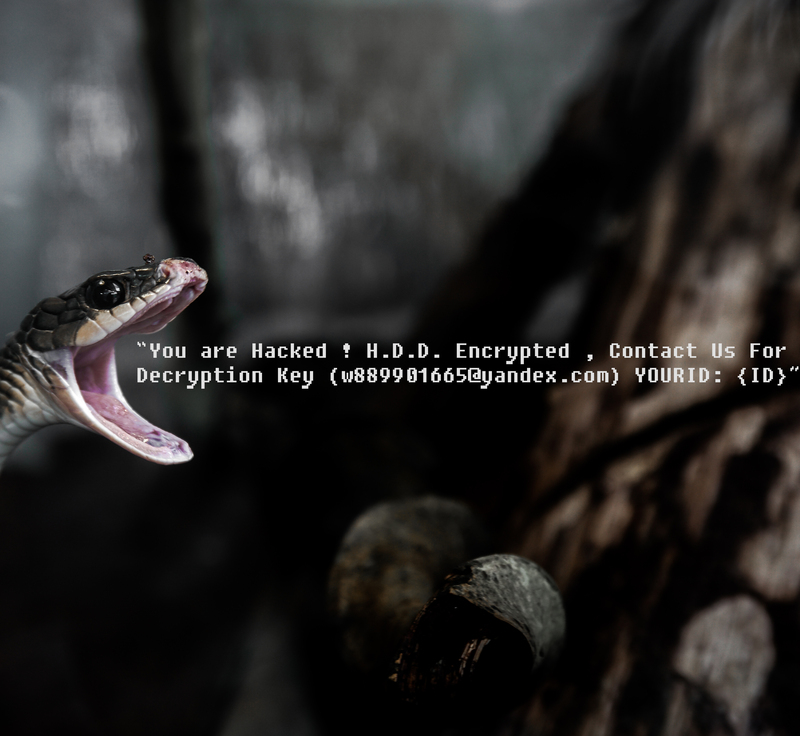 Hey !, I found this information for you: "Mamba Ransomware Fully Encrypts Your Hard Drive Using DiskCryptor". Here is the website link: https://sensorstechforum.com/mamba-ransomware-fully-encrypts-hard-drive/. Thank you.